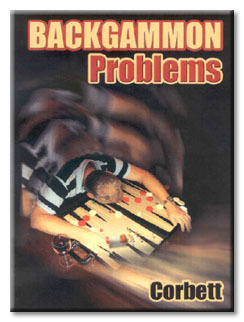 "When you think of backgammon problems, really tough ones, think of Mike. ... This book, good as it is, is not the best backgammon book ever written. But it might be the most interesting one! "Jake Jacobs, Flint Area BackgammoNews, Jan/Feb 2008. QUOTES: "While those who worship at the altar of Snowie might find Mr. Corbett's writing irreverent or sacrilegious, he finds an excellent balance between exposing Snowie's evaluation flaws while respecting its invaluable use as a research tool in this delightful series of well-written articles.